Moving to a new country can be disruptive to your wellbeing. Where to shop healthy, what’s safe to eat, how to avoid the new country’s food traps? I figured it out for you. Start by downloading my free Survival Guide to Shopping and I’ll talk to you soon! Weight loss is NOT about the number on the scale. It’s about the personal journey to feeling good out yourself. For life. It is NOT about dieting and restrictions. It’s about a healthier lifestyle. Book a FREE 30-minute review to find out how I can help you get in shape, for life. Do you want to save time and break free from cooking random meals ? Do you want variety? Do you need a balanced diet or have a specific need? Book a consultation to get 1, 2 or 3 week done-for you meal plan. Includes shopping list, recipes, and weekly planner. 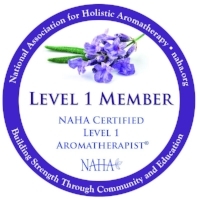 Learn more about the benefits of therapeutic grade oils for physical & emotional health. What they are, how to use them, how to get them.